In the State of Florida, both parents are obliged by law to provide support for their minor children. The state considers child support as a right of the child, and not that of the parents. The goal of child support is to make sure that the basic needs of the child, such as clothing, shelter, and food, are met. The child must also receive one’s share in the good fortune and wealth of both parents. Establishing child support is based on a formula that considers the net income of the father and the mother of the child, and certain expenses that include health insurance premium being paid for the parents and the child, and daycare expenses, if any. The formula also considers the number of overnight stays the child will spend with each parent. If one of the parents has less than 73 overnights with the child each year, then the amount of time sharing will be included in determining child support. The family court will take into consideration that parents need to provide clothing, shelter, and food for the child while one is under the parent’s care. Cohen Legal Offices can help a parent in the establishment of child support. Once it has been established, retroactive support may be determined for the time between the date the parent divorced and the date that the child support order takes effect. Retroactive child support has a maximum of 24 months. While the law has provided specific guidelines on child support, the court can deviate from the said guidelines after considering all the factors that include the child’s medical expenses and age. However, the court can provide more than 5 percent unless there are written findings that showed that assessing child support based on the guidelines would be inappropriate or unfair. How do Parents Pay for Child Support? There are several ways in which child support is paid that include having each parent pay for the child while the child is with the parent; a parent paying child support to the other parent; or both parents paying a third party. The court can also instruct one of the parents to pay child support indirectly by giving benefits, such as mortgage payments. How Long Does Child Support Lasts? Most of the time child support lasts until the child becomes 18 years of age, unless one performs well in high school and scheduled to graduate by the time of his or her 19th birthday. In this case, child support will stop after the high school graduation. It can also end when the child marries, joins the armed forces, or dies. It can also be extended by the court if the child is proven to be dependent due to a physical or mental disability that makes one reliant on a parent’s care and support. How to Secure Child Support? Child support can be secured with a court order that will direct the parent to get a life insurance or bond. 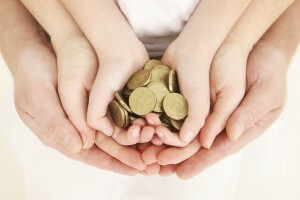 The court can secure child support obligation through appropriate assets. Another way of securing it is by entering an income withholding order that orders the parent’s employer to withhold the payment from the parent’s salary and send it to the State Disbursement Unit or to the other parent. In case an obligor fails to pay for child support, Cohen Legal Offices can help the other parent to file a motion for enforcement or contempt. One can also request the awarding of the attorney’s fees that one has incurred because of the filing of the motion. Failure to pay child support in Florida can also lead to suspension of the driver’s license of the obligor and the placement of lien on obligor’s property. The Florida Department of Revenue can also suspend the obligor’s passport and seize one’s bank account. There is no statute of limitation on the enforcement of child support, and it can be enforced even after the child emancipates.